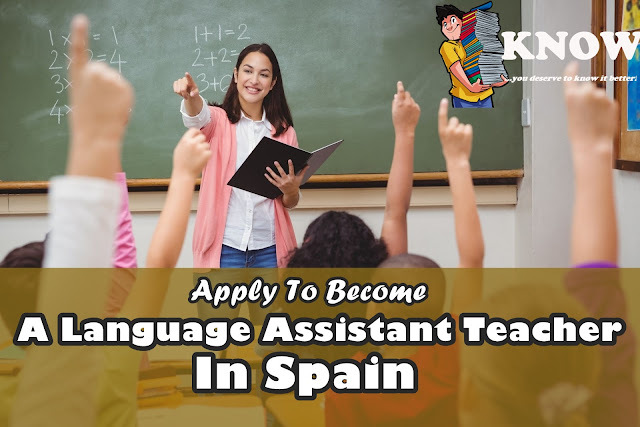 Erasmus In School is seeking for English language teaching assistants for positions at schools and kindergartens all over Spain. All current vacancies can be seen found at the official website. - Fostering students' oral and listening skills. - Talking to them in English language. - Preparing them for Cambridge exams. - Developing any kind of activity or workshop you enjoy using English language as a vehicle of communication. - Supporting the development and creation of international partnership and exchanges with a school in their own country. - Developing hands-on activities with the students, so they will be able to experience a full immersion into English through a natural context. - Fostering physical development of kids using English as a tool of communication. Laying the foundation of excellent pronunciation through making English language a familiar sound for kids. - Working together with a teacher in the classroom or working alone with small groups of -kid´s mental agility through multi-sensory activities like crafts, songs and games in English. - Reporting the children´s learning progression to families. - Communicating with the babies and kids continuously in English language in a natural way, so babies are able to understand the target language and follow-up gradually. - Developing hands-on activities with kids, so they are able to experience a full immersion into English through a natural context. - Ensuring a warm and caring atmosphere for the children. - Helping to develop lesson plans suited to particular age-groups. - Setting up hygiene daily routines among the babies like hand washing and toileting. - Soothing the babies when they cry. - Contributing to setting up a routine for kids on a daily basis: greetings, assembly, playground break, nap time, etc. *Some of the schools will also offer free accommodation to employees. Candidates should have C1 English level proficiency of being English native speakers. All countries are eligible to apply. - Create a profile as language assistant from the Apply Now link. Find out more, visit ErasMusinSchool.com.